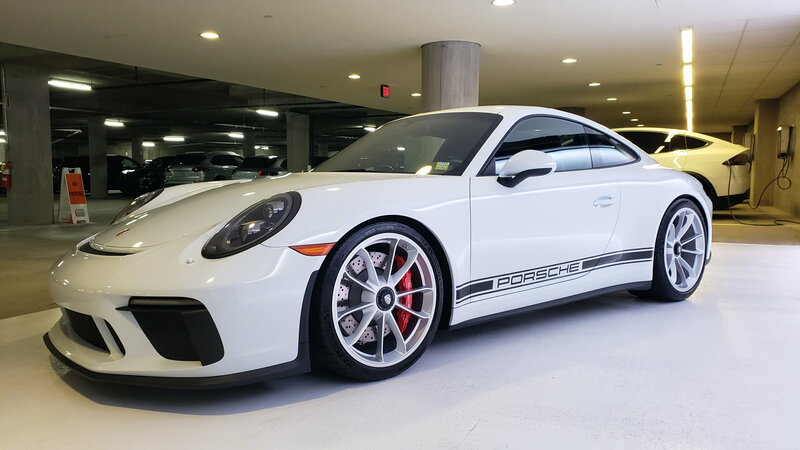 I have a precious 3.5 day fun token to spend and need to drive my new GT3T from Birmingham AL to New York. 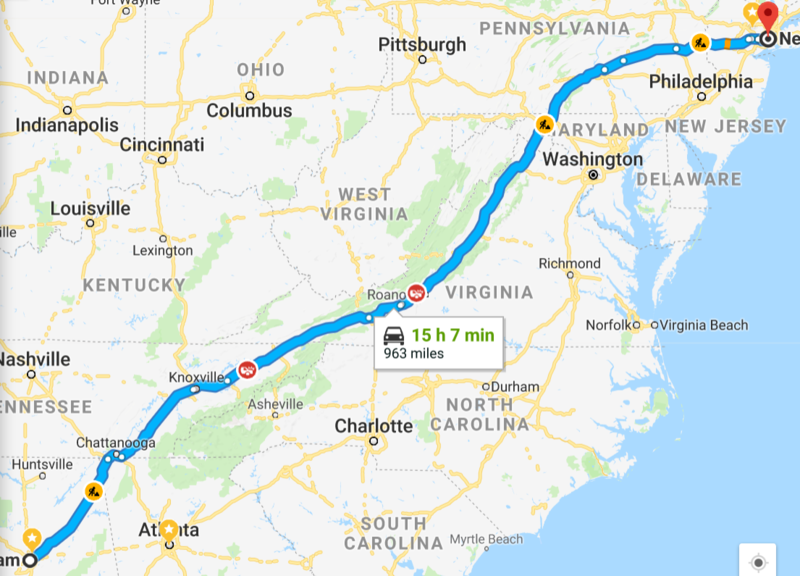 Brit ex-pat here so still learning (but loving) US geography but it looks like I have the choice of going through the Appalachians (most direct) or taking a more northern route and visiting a few more states I haven't been in yet and perhaps some more interesting cities (eg Nashville). I'm a little split as I'd like to visit both. 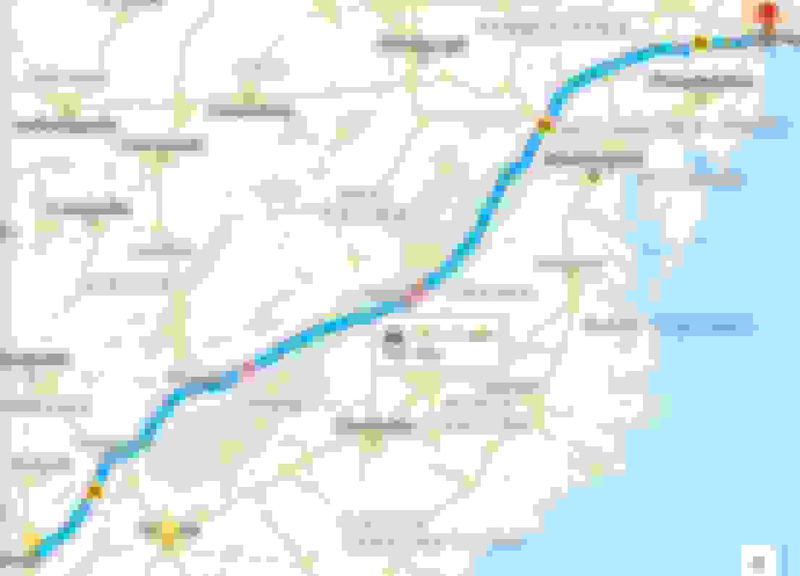 Really interested to hear peoples opinions on the routes and also weird and crazy things to see and do on the way etc. 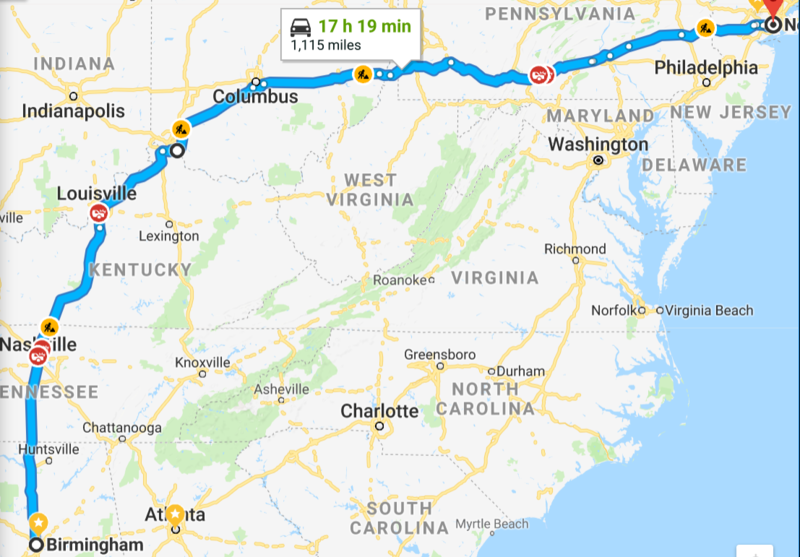 Nashville, is nice, but unless you plan to spend the night there, it's not worth just driving through..timing wouldn't be right for your 3 and 1/2 day trip. Great car, sounds like a nice road trip. If you take the more direct route that goes through the state of Virginia, whatever you do, don’t get pulled over doing over 80mph!! Serious consequences! Enjoy. As far as I know, just droning on the highway from there on until New York. 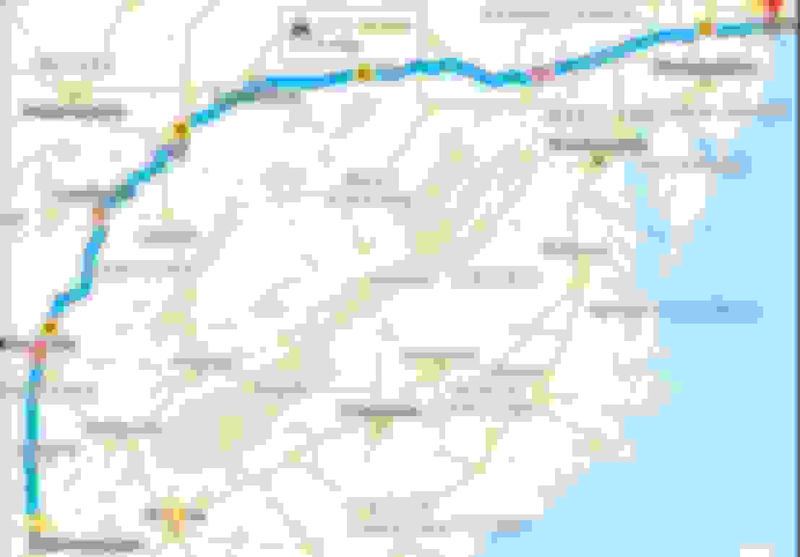 Neat places to stop along the way though along the east coast. Va, Beach, Norfolk, DC, Baltimore, etc. Definitely agree about Virginia. That would be a great reason NOT to drive through the state IMO. here you go take it easy and drive safe handing me a warning . .
With either of your routes, you are skipping some of the best roads in the country / world. Can I suggest you PM Smokies route leader Andy (C2Spin) ? He will definitely have some ideas for you! We have studied almost every road in the NGA, ETN, WNC area. You must not skip them! Thanks for the tip i'll reach out to him! It is absolutely worth it. If your route preference takes you through Kentucky and you have an interest in thoroughbreds the Horse Park near Lexington is not to be missed. The Corvette Museum and Racetrack near Bowling Green are extremely worthwhile. The link I pasted above details the roads around the Hocking Hills in southern Ohio. This is where Car and Driver brings their cars for "the best driving roads outside of the Nurburgring." Safe driving and enjoy the trip! !